In today’s media environment, video is an important and powerful communications tool. A well-made video can capture the essence of an idea and bring it to life through emotional storytelling and compelling images. 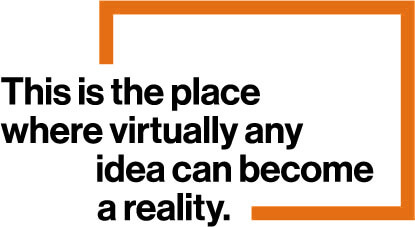 The RIT brand applies to much more than printed material. This document can be used as a reference for all video work done by the university, especially within the academic brand. For specific direction about type, color, and other graphic elements, please refer to the master brand guidelines. 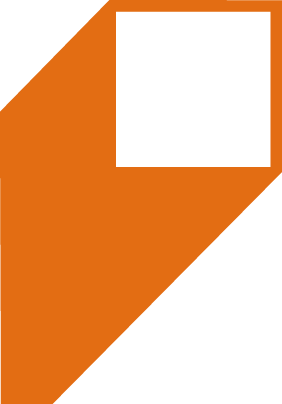 The logo is used on black, white, or RIT Orange backgrounds for best contrast and readability. 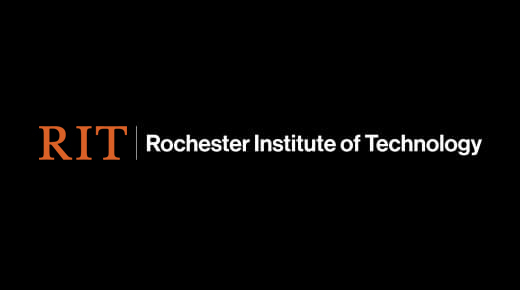 The logo may appear in only black, white, or the RIT Orange and black combination. Use the guidelines provided for acceptable logo uses and configurations. Never use the logo over live-action footage. Never use the logo as a background. Never add effects like glows, drop shadows, or other adjustments to the logo. Never crop, stretch, or otherwise distort the logo. Color is an essential part of our identity. Our primary colors should appear on all videos produced. 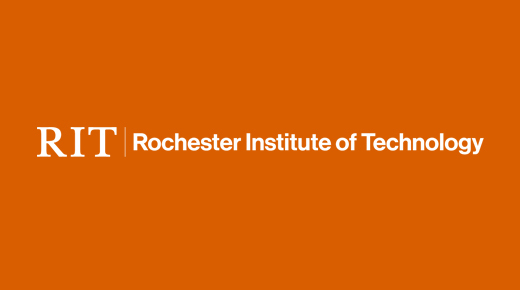 Our secondary colors complement RIT Orange, creating a versatile and exciting palette for university-wide use. It’s important that these colors never be altered or screened into various tints. This palette should be used only to support the primary colors when needed. For video graphics that are more complicated or convey deeper levels of information, these accent colors can help communicate content more clearly. Neue Haas Grotesk Pro, our sans-serif face, is the brand’s most prominently used typeface. It’s suited for headlines, subheads, body copy, and captions. Note that the black, medium, and light weights of the font work best for large headlines. Milo Serif is our secondary typeface. Its sophisticated tone and high legibility make it extremely versatile. It’s easy to read at a variety of weights and pairs well with Neue Haas Grotesk Pro. On-screen text should be readable above all else. Type color should have sufficient contrast with the background. Using black text for lighter backgrounds and white text for darker backgrounds is preferred. Words that fly into frame or reveal as if being typed on screen can add to the dynamic nature of video productions. However, these effects should never take away from the readability of copy and should be used sparingly and consistently. Use graphics to add brand recognition and visual excitement to videos. Use movement to add extra visual interest, or to emphasize specific words and phrases. 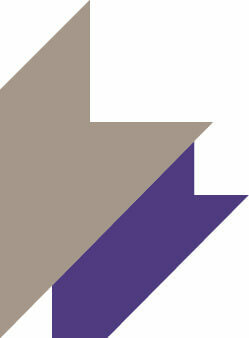 An in-depth overview of the brand’s graphic elements can be found in the visual language section of these guidelines. Videos should be written and conceived in a more conversational style than printed communications. Complex sentences full of commas and clauses can clutter the message. Short declarative sentences, phrases, and even one-word statements give the narration punch. Keep it simple, clear, and concise. Determine who the audiences are and how and where they’ll view the video. For example, a video may be written differently for prospective students than for internal audiences. Some things are better shown on screen than described by interviewees or in voice-overs. Write to the imagery you intend to use and refer to it in the script. If interviews are cut back to back, break them up utilizing B-roll or still images to better explain the story. A video script should always include a video column and an audio column, each describing what is taking place in a particular scene. Scene numbers should also be used for easy reference. A well-conceived script is necessary for getting accurate quotes from video vendors, and for ensuring that we meet legal requirements. Most videos have some sort of storyline that includes a beginning, middle, and end. This structure moves the audience through a concept by introducing it, explaining it, and then providing some call to action. A good practice for keeping video projects organized and efficient is to create a production pack of all pertinent materials, including script, storyline, timeline, model releases, contact information, and location details. Get to the point. Show your respect for the viewer’s time by communicating exactly what you want them to know. Candor helps build trust. Let viewers know you’ve got their best interests in mind by being open and transparent in the way you share information. Video scripts should be written and conceived in a conversational style. Use contractions and common expressions. It’s okay to be informal. Too much formality or academic language can alienate viewers, particularly students. Focus on what your viewers need. Show them that you understand their interests and priorities. Demonstrate through your script that you see them as more than just a number. Anticipate the questions your viewer will likely have and address them up front. Think a step or two ahead so your audience can make intelligent choices. Pleasantly surprise viewers by making dry topics interesting. Make routine communications fun to watch. Videos meant to educate or change opinion often use a pre-scripted style that speaks directly to the audience. The script is written well before production begins. On-camera talent communicates directly with the viewer, often reading verbatim from a script or teleprompter. Voice-overs are very common and may drive most of the content in the video. Actors or re-enactments may also be used to convey the message. A documentary-style approach allows things to happen on camera that can’t be written ahead of time. Usually this involves shooting several interviews and then editing excerpts into a form that supports the video’s concept. It can be helpful to cue or prompt interviewees for responses that fit the subject, but they still answer in their own words. The script is actually developed during or after the shooting process, and interviews can be held together with minimal voice-over. This style can be very powerful, but since it depends on the quality of the content from interviewees, it can also take longer to produce. 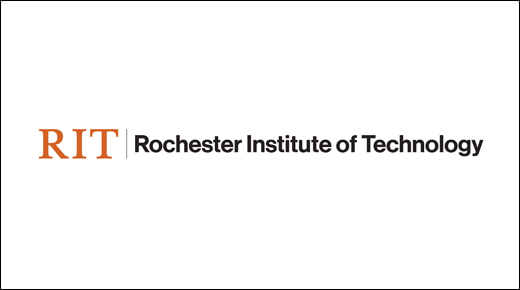 Diversity at RIT is a driving force behind our success. Our videos should express this with a balanced selection of voice-over, on-camera talent, and interviewees. On-camera talent and interviewees should dress appropriately for the location of filming: business casual for academic environments and casual wear for students. Shirts should contrast with background colors—wear a black shirt on an orange or gray background, for example. Small patterns on fabric can be distracting and should be avoided. If safety equipment such as goggles or gloves is appropriate for the filming location, they should be worn on camera. For many people, being interviewed on camera can cause some anxiety and nervousness. Remind interviewees to smile (when appropriate) and relax. They should avoid fidgeting and maintain eye contact with the interviewer or camera. Prompt interviewees to frame their comments as whole thoughts and sentences for better sound bites. When voice-over talent is used for a video, suggest that the person reading the copy be as conversational as possible. Avoid hard-sell, “announcer-y” deliveries. Have the person speak slowly and deliberately to ensure good diction and audibility. All new video material should be in 16:9 format. If older footage must be used in a new video, it should be up-scaled to 16:9 whenever possible. In addition to the aspect ratio changes, most newer videos are also produced in high-definition (HD). Current televisions, computers, and projectors are usually HD-capable and produce much higher quality images than previous standard-definition (SD) videos. Whenever possible, our videos should be produced in HD (a frame size of 1920x1080), even if the final deliverable will be downconverted to SD or web format. Since the H.264 codec plays on Apple and Windows computers, it’s one of the most compatible formats for sharing video online, on local networks, or from removable media such as USB drives. For digital file delivery, please encode videos to H.264 format in one or all of the following specifications. In many cases an H.264 file can be wrapped inside of a .mov or .mp4 container. If the final video is to be played online on a container page (one web page devoted completely to the video), be sure to avoid double branding or logos. An image that represents the main video content should be chosen as a thumbnail with a standard play button icon. As with our photography style, video footage shot in natural academic environments adds credibility to our brand. Whenever possible, plan to shoot interviews where people would normally work or study, rather than in an empty meeting room or empty classroom. 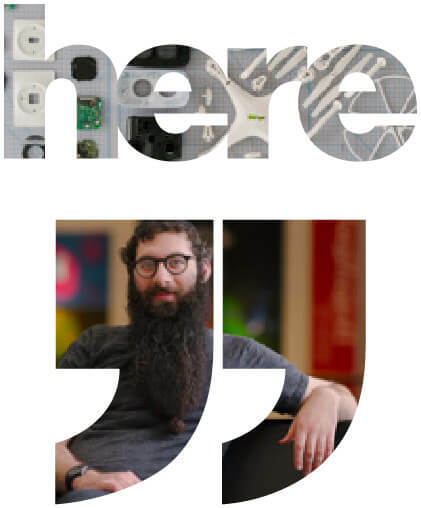 The location can help communicate the message as much as the interview itself. Will additional lighting be needed for filming? If so, is there sufficient power nearby? Are there background sounds in the environment that will detract from the video? Will a video shoot disturb other people who are working or studying in the area? 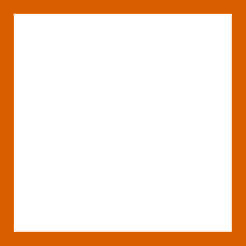 If a natural environment isn’t feasible for shooting, use a solid RIT Orange, white, gray, or black backdrop for interviews. (Avoid green-screen compositing and use actual colored backdrops whenever possible.) Note that the subject should wear colors that contrast with the background and should be far enough away to avoid casting heavy shadows behind them. 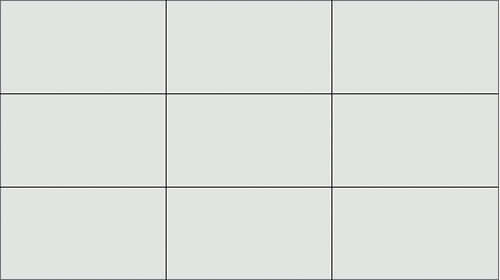 Align subjects in videos on the grid in the rule of thirds. Eyes should be in the upper third of the frame, with faces slightly to the left or right. Avoid centering interviewees in the frame unless doing so for dramatic effect. Following the rule of thirds, interviews should also give adequate space above a subject’s head. Generally, the closer the shot, the less headroom is needed to keep the eyes in the upper third of the frame. Also have interviewees look slightly off camera when responding to questions, leaving extra space in front of their face. Our video style is more cinematic than flashy. A tripod should always be used and camera movement kept to a minimum. Avoid zooms, quick pans, and rack focuses for both interviews and B-roll footage. Do not follow an interview with the camera, but rather leave enough space for the subject to move comfortably in the frame and still be the focus of the shot. Cutaway action shots are a must to keep videos dynamic and informative. They also allow interviews to be edited for time and content by covering edits with other footage when appropriate. Always shoot B-roll footage that’s appropriate to the message, following the same rules for framing, camera movement, and general photography. Additionally, some sequences may use purchased video from outside stock resources if they can be stylistically blended with genuine RIT video resources. Shoot subjects from various angles and depths for better energy and pacing. Generally, a set of wide, medium, and close-up shots provides good options for when the video is edited. If interviewing multiple people in the same location, vary the angles and the directions the subjects are facing. Allow enough space behind interviewees or products for the camera focus to fall off. Bringing the subject farther away from the background usually adds to the interest of a shot while minimizing harsh shadows that can be distracting to the audience. Video should always be shot in color, and care should be taken to make skin tones look natural in different lighting situations. Avoid windows when shooting indoors, as the lighting can add an undesirable blue tint to the whites in the video. Keep video levels conservative in the field, and use post-production techniques for black-and-white or overblown looks. Many modern video cameras can shoot at different speeds. For editing purposes, footage should be captured at 30p (29.97) frames per second. If combining footage from multiple sources, try to be consistent with frame rate to keep a uniform style. Allow text to remain on screen long enough to ensure readability. 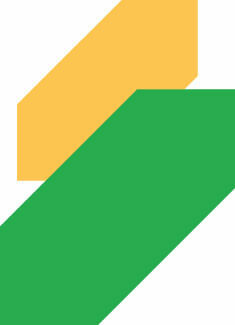 Limit motion of text to simple reveals and two-dimensional moves. Avoid flashy wipes and effects that are not in keeping with the brand or that reduce legibility. 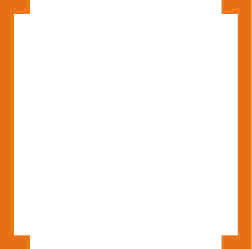 Name banners should be RIT Orange or black with light-colored text for best readability and brand compliance. They always appear in the lower third of the screen. The top line of text should be the person’s full name; the smaller line is for title or department information. As with any text in a video, ensure that banner copy resides in a video-safe title area (shown below), so that important information isn’t accidentally cut off due to differences in aspect ratios. One of the most vital components of a good video is the soundtrack. Viewers should not have to strain to hear or understand the speaker. Audio recorded in the field should be as clear and free of background noise as possible. Use quality boom and lavalier microphones, never the audio from the camera mic. Digital recordings should be made at 48.0 kHz, as that sample rate is compatible with most video-editing systems. If noise occurs while someone is speaking, politely ask them to repeat their statement for a clean take. The sound for our videos should always be a stereo mix. In the editing process, ensure that voices are centered and not panned to the left or right channel. Music should be low enough to not compete with the speaker, but loud enough to still give energy to the video. Try to choose music based on the video’s audience and concept, not personal preference. A good music track will add life to the video without taking attention away from the message. For longer videos, use more than one track to break up sections and change the pace. Always use properly licensed music tracks—it is illegal to use copyrighted music without permission. 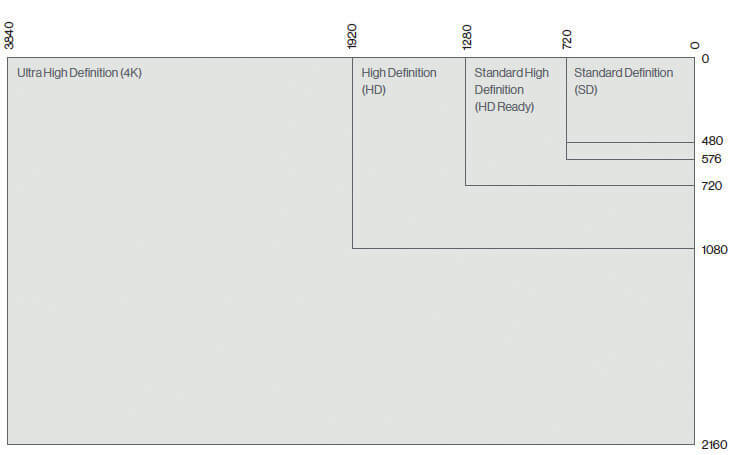 Depending on the final deliverable of the video and editing software, requirements for output audio levels may vary. Refer to your editing software manual to see where audio meters should hover for best audibility. Compressing the audio to smooth highs and lows in the soundtrack may also be beneficial, adding to the clarity of the final presentation. Follow these recommended styles and best practices for captioning media to ensure that RIT creates an educational environment that is accessible to all learners. Font Size: 54, based on the program used to create them. Sync captions as the words are spoken. Start a new caption for each new sentence. State to the audience who is speaking and when a new speaker starts. Identify the speaker by using last name or full name, in all caps, followed by a colon. At minimum, indicate a new speaker with two greater than symbols “>>”. NARRATOR: Let’s look at the research being done by our faculty. SMITH: My research is helping people around the world. DR. JENNIFER SMITH: My research is helping people around the world. JENNIFER: My research is helping people around the world. >> My research is helping people around the world. Always make sure you have copyright permission to use a song and write out its lyrics in your video.